Popcorn Time was one of my favorite apps before it disappeared. It was an open-source torrenting service with a media player to stream torrent files and download it at the same time. It even started hurting the business of Netflix and other Paid streaming services. When it became too popular, many studios including Motion Picture attacked the service with allegations of copyright infringement. So, developers of Popcorn Time made the app down. Users who have the apps installed, they are still using it. But official website and app are now not available now. The development was also halted. Recently, another Popcorn Time website came back, but it has nothing to do with original Popcorn Time. It is only using the same name. If you are looking for Popcorn Time, you have no way until you find someone having the apk. 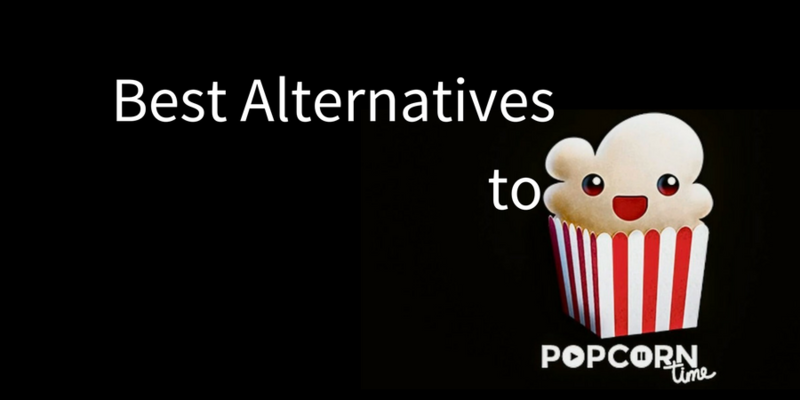 But you can these alternatives to Popcorn Time to watch TV series and Movies online. Before you check the list, I will recommend you to start using a good VPN for using torrents. Downloading and distributing copyrighted content is illegal and you may be in a big trouble. If you are not sure what VPN to use, you can take a look at the list of best VPN services. VPN makes your connection encrypted and it makes impossible for anyone including your ISP to know what you re browsing. As I already noted, this has nothing to do with Popcorn TImes. But it not just using the name but it also uses the same kind of way to offer you content. As the original Popcorn time was open source, the new developers have taken care of this new service. Developers of original Popcorn Time have also endorsed this service. TorrenTV is another nice website that allows you to watch torrent files with built-in media player. You just need to drop the torrent file you want to stream and it will start streaming along with downloading at the same time. This service is available for Windows, Mac and Linux desktop platform. Zona is another notable alternative to Popcorn Time. It also offers the stream of torrent files with built-in media players. You also get the option to customise the interface and use the themes. Flixtor came into existence soon after Popcorn Time was taken down. It has a similar kind of interface and offers you video content. It is open source and available for Windows, Mac, and Linux platforms. You just need to visit the website, select the Movie or TV show you want to watch and start streaming. Kodi is another nice streaming service to watch the torrent content online. The service is online and we have no idea for how long. It is already the target of copyright holders. Unlike the Popcorn Time, Kodi plays streams and not downloaded torrents. It is an open source media player and you can use it to watch movies and TV shows before it goes offline. Popcorn Time was a BitTorrent client with built-in media player. Even if the service is not available, there are lots of other services you can try. I have listed 5 but thee are few more. You can start using any of the given services to watch movies and TV shows. Be sure to use a good VPN service to keep your browsing encrypted and yourself safe. If you know any such service, you can leave a comment and let me know about that.